fine coloured bead cross bracelet. chunky elasticated bracelet with bold colour oval resin 'stones'. elasticated bracelet with a silver band and antiqued heart pendant. chunky elasticated cuff bracelet with brightly coloured bands. elasticated with silver and black ovals. 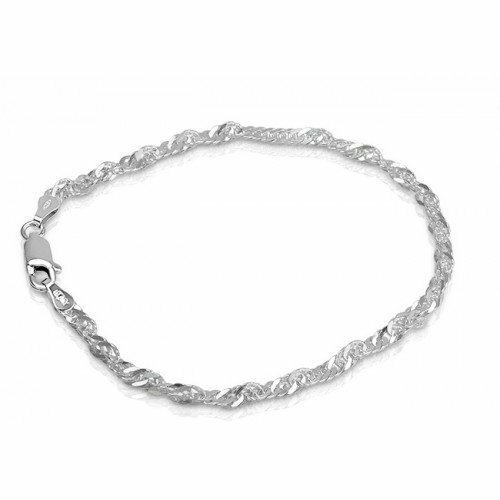 .925 Sterling Silver Bracelet - Mens 9"
Shopprice is always committed to save every cent of your hard earned money by finding the best and the lowest prices, best bargains and hot deals on bracelets that fits your budget and requirements. Helping you to get the best deals on bracelets on various special occasions like Christmas Day, Fathers Day, Mothers Day, Foundation day and so on.